PHP needs to be configured to load the gd.so shared object extension that you just compiled. You will tell PHP to load it by adding a directive in your /etc/php.ini file. 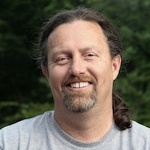 This entry was posted in Front Page, How-To, Technology and tagged Apache, GD, How-To, Mac OS X, PHP by Chris Brewer. Bookmark the permalink. @Curator: The build date is for the PHP binary, which you are not recompiling, so it won’t change. So long as Apache is configured to run PHP (which it is if you’re getting output from phpinfo.php), you shouldn’t need to alter the httpd.conf file. The newly edited instructions explain how to point to the newly compiled gd.so in your /etc/php.conf file using the extension_dir directive. That same directive reveals where the gd.so file is stored. How do I include enabling bcmath to this compile for a 64-bit, and ensuring all the other built-in libraries are enabled? ldap, openssl, http://ftp... all the other stuff? This is what I am ending up with. Perry Jeung (#43), your comment was most helpful of all! I had the same problem and your solution fixed it. Worked a treat on OSX 10.5.6 and 10.5.6 Server. Thanks! Its guide is very well !! Hi Chris Brewer, I have tried and tried and tried many time over and carefully going back throughly but I keep getting the error posted like no. 1 by Andreu and followed your answer on no. 2 to no avail. 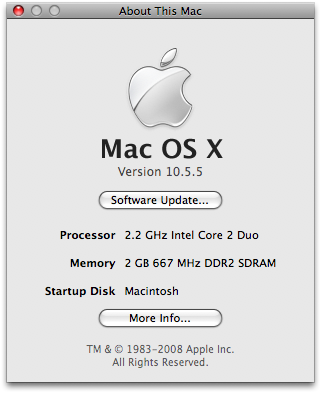 I have mac os x 10.5.6 with 64 bit. Please help! Oh, I got it to work just fine, it was my bad! the instruction is perfect, it was my bad jumping the gun early. I wanted everyone to know, if you’all take a little step back re-read the instruction, it’s exactly just that! It’s working very nice, Thank you Chris for posting this, YOU’re the man! This worked great! Thanks for the write-up! I’ve followed your instructions 3x, copy/pasting commands where necessary and GD isn’t being loaded into PHP. I am using OS X 10.5.6. I changed the php source path to reflect 10.5.6 instead of 10.5.5, but other than that there is no change between the PHP versions. I have the same issue as Francesco #23. 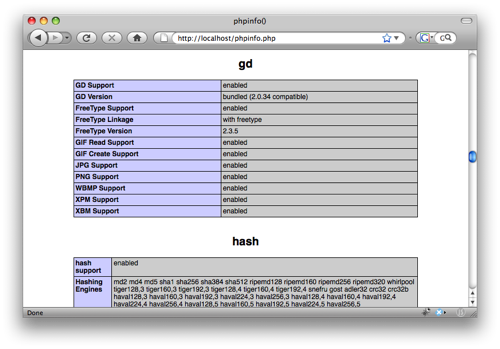 However in a phpinfo(); page in php it doesn’t have the GD Image bit on that PHP info page. The tutorial worked great. I had an error at first, but I followed the advice to @bob, and went back and recompiled libjpeg (and followed ALL the steps this time) and it worked great! Thanks! Worked on the first try, no errors, took maybe five minutes. Thanks a million! Is there more than one /etc directory? Did I overlook something? @Chris: Hi. There can only be one /etc/ directory. The php.ini file is write protected, insofar as you need to have admin permissions to edit it. This is accomplished by issuing the “sudo bash” command as illustrated in the instructions. BE CAREFUL. Once you issue that command, you are able to completely destroy your OS installation. I wouldn’t recommend futzing with ownership and permissions of the /etc/ directory. Great tute Chris, thorough and enormously helpful. Excellent tute, worked first time. Thanks chris, great stuff here. I ran into the following problem for the GD extension. At the command tar xjf php-5.2.6.tar.bz2 it wouldn’t untar for some reason. After several tries, I had to go the source file on apple site (http://www.opensource.apple.com/source/apache_mod_php/apache_mod_php-44.1/)and download the 5.2.6.tar.bz2 there, then move it to the SourceCache folder, then proceed. Everything then worked as expected. Note, I have OSX 10.5.7 and PHP 5.2.8 installed (new IMac), so it might be the reason of my problem. Hope it might help someone out there. Excellent post, easy to follow. you’re da man! – 1 thing that may help others: i got the error in your NOTE only when doing the make install. creating the link as per your NOTE and then redoing the make install solved things for me. thanks a million. I have run into a few problems with the process in the article. I suspect it is a versioning problem but I’ve not been able to resolve it yet. Here are the problems I’ve found. For reference I am running OS 10.5.7 and php ver 5.2.8. 1. In the “Download and compile the CD raphics library extension” part following the command: tar xjf php-5.2.6.tar.bz2 I get an error essage “tar: Error ….bzip2: (stdin) in not a bpzip2 file. I tried downloading it three times with the same result. I placed the URL in my browser and downloaded the file into a different location, then double clicked the file in the Mac window mode and it decompressed the files for me. Not sure what is happening here(currently corrupted file at the source? (, but my workaround seemed to work ok. (unless item 2 below is the resulting problem). creating a symbolic link probably won’t work because somewhere the program is looking for the 3.0.0 version of the file. Any suggestions as to how I modify the process to accept the newer version? Or am I just stuck in version hell and unable to make it work? (or just not smart enough to figure it out? It sounds like there is a corrupt source file. In any event, Mac OS X has been updated several times since this article was written, with changes to the PHP version. You need to download the matching version of PHP source: 5.2.8 per your message. It’s at http://www.opensource.apple.com/source/apache_mod_php/apache_mod_php-44.2/php-5.2.8.tar.bz2. Also, try using curl as I detailed in the instructions instead of downloading it with your browser. What this directory listing shows is that Apple is creating new static links to /usr/x11/lib/libpng.3.dylib each time a new OS patch is released. Thus in my directory listing you see libpng.3.0.0.dylib, libpng.3.24.0.dylib, libpng.3.26.0.dylib, and finally libpng.3.35.0.dylib, all pointing to the same file. Thanks a bunch for the great help. Your suggestion did the trick!. Great blogs! However, I encountered the same problem as Francesco in #24, but configuring with the option “–with-gd” did not seem to make a difference for me, and the GD block still does not appear with phpinfo, though I do receive the correct response from the command line showing the GD is installed. for GD compilation, nothing change? Hallo, Thanks a lot for this tutorial. I found it really good. bit stumped with this one. This is still very helpful. Save my day and my week. Followed the instructions. Worked perfectly. For 10.5.8 I had to change the CURL file address of the PHP source. I also had to enable Root. Thanks for the great tutorial. THANK YOU to Chris and http://wp.me/poMmd-3k. Between the two of you, my install had only 1 minor hiccup. “tar xjf php-5.2.8.tar.bz2” didn’t work so I double-clicked on php-5.2.8.tar.bz2 and the Mac’s UnArchive app did the trick. Had issues with the jpeg library and the gd- in each case I needed to get a more current build of the download packages. also had to use ‘sudo’ before ‘make install’ commands – just fyi for novices and noobs like me that could be a hitch. Thanks for the tutorial- Once I worked out those elements I was fine. We are lucky this page is here or it woulda been a lotta fishing out there! Thank you, a well written and clear guide! Do you know how long I have been searching for a simple tutorial on how to install GD… I’ve been trying to get owncloud working on my server hosting http://metabiz.com.au forever and this did the trick – just wanted to say Thanks!